Par Ian Wylie (Manchester Evening news, lundi 13 mai 2002). The naked truth was supposed to be for your eyes only. 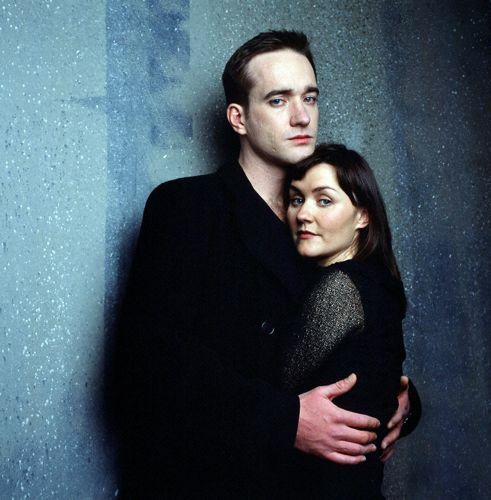 But actor Matthew Macfadyen knows nothing is that simple when you’re employed on Her Majesty’s secret service. Spooks (BBC1, 9pm tonight) is a new drama series about the men and women of MI5. Matthew plays Tom Quinn, one of their brightest officers. Filming for the sixth and final episode – to be screened next month – involved The Way We Live Now star stripping off in a field along with Lorcan Cranitch, who plays the leader of an Irish terrorist group. “That’s what they do,” explains Matthew. “To check there are no bugs located on our persons, you have to take everything off. Tonight’s first story begins with a car bomb which kills a female doctor and fatally injures her daughter as they set off on the school run. Soon MI5 begin looking at the possibility of a pro-life terrorist campaign. There’s plenty of action in a glossy series with a cast including Keeley Hawes, Jenny Agutter, Lisa Faulkner, David Oyelowo and Peter Firth. Later guest stars include Hugh Laurie, Debra Stephenson and Tim Pigott-Smith. Tom’s life is complicated when he falls for restaurant owner Ellie, who only knows him by his alias Matthew Archer. She has to be fully checked out by MI5 before he can tell her the truth about who he is. Tom is eventually forced to reveal his real identity to Ellie when he is wounded. “I get battered a lot all the way through. There were lots of bruises,” he smiles. Matthew met real life ex-KGB, CIA and MI5 officers as part of his research for the role. Former CIA man Mike Baker, who acted as a consultant on the series, revealed that for the first six months that he dated his wife, she thought he was someone else entirely. “There’s the added complication that your job could put your loved ones at risk,” says Macfadyen. “It must be a complete nightmare. Although devised and largely written before the terrorist attacks on America, the Spooks team realised their drama had an extra resonance when filming began last November. Executive producer Stephen Garrett says things are often not what they seem. A Spooks researcher doing some initial groundwork discovered that, unknown to him, both his aunt and his father has been employed by MI5.